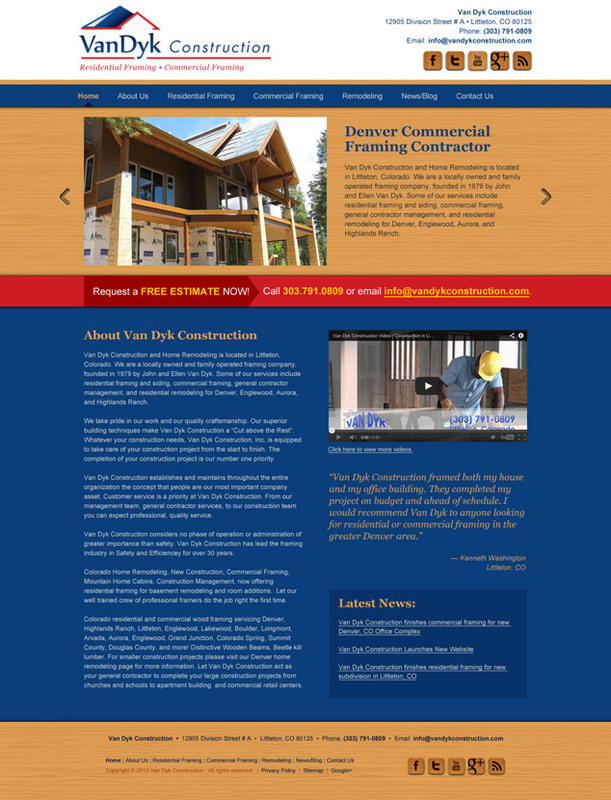 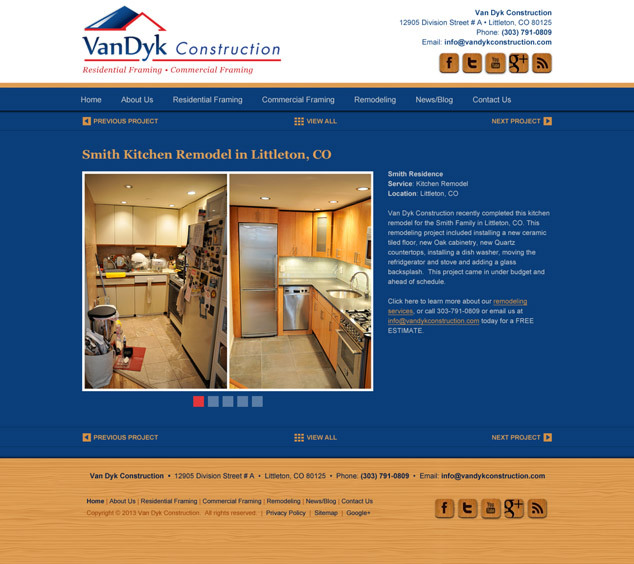 Visual Lure was recently hired by a WordPress development company to design a new custom website for Van Dyk Construction, a Denver, CO based construction company. 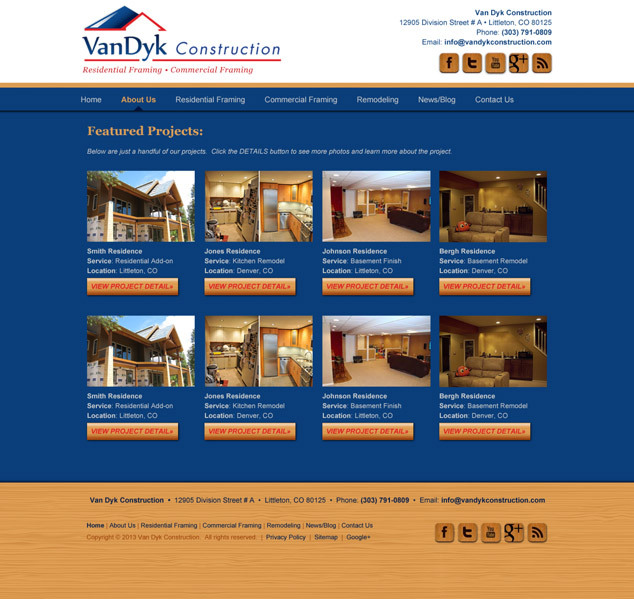 Van Dyk has two different divisions, one specializing in residential and commercial framing and the other in residential remodeling, so we designed them a custom landing page that branches off into two different sections of the website. 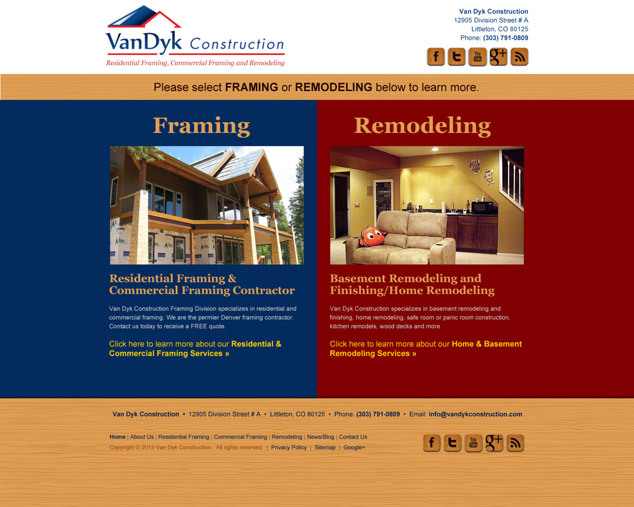 Although each division uses the same design structure, they are actually two different WordPress themes, one designed in red (for remodeling) and the other in blue (for framing).